With the New Year comes new laws, and 2017 is ushering in a number of changes that will impact everything from gun sales to gender-neutral bathrooms. The following is a partial list looking at some of the new laws going into effect this upcoming year. New rules on the books will allow drivers to put their hands on a wireless communication device in what used to be voice-activated-only territory, but just for a tap or a swipe of the finger under Assembly Bill 1785. The caveat of the law is the device must be mounted to the windshield, dash or center console — basically making allowances for tools like GPS units. In the wake of the high-profile case of Stanford swimmer Brock Turner, whose six-month sentence for the sexual assault of an unconscious woman sparked outrage, Senate Bill 2888 prohibits courts from "granting probation or suspending" a sentence in certain cases, including when a person was "incapable of giving consent due to intoxication." Ever walk by a dog in a locked car on a hot day and wonder what the owner was thinking? Well, if it looks like the animal is in dire danger, A.B. 797 will absolve you from criminal liability for breaking a window to set him or her free. Now, the bill does require a call to public safety personnel to report the situation, but if a pup is in peril the law is now on your side. Not going into effect until March 1, A.B. 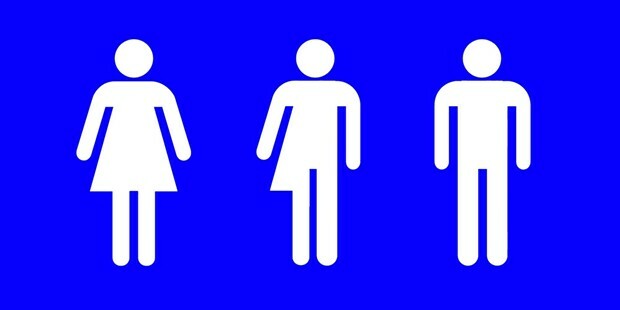 1732 will require that businesses and public buildings designate single-user bathrooms as gender neutral. Several new restrictions regarding firearms go in to effect, including what's been termed the "bullet button ban" under S.B. 880, addressing what the lawmaker termed a loophole to the current assault weapons ban. The soon-to-be-banned modified button mechanism allows for the easy detachment of magazines from assault-style guns for rapid reloading. Additional laws going into effect will require background checks for ammunition purchases and put limitations on lending firearms to family members. S.B. 1287, also known as The Whale Protection & Crab Gear Retrieval Act, aims to reduce the number of whales caught up in fishing gear with the establishment of a retrieval program paid for by industry fees. The bill was introduced by North Coast state Sen. Mike McGuire. The minimum wage continues its gradual climb, moving up to $10.50 an hour in the New Year. The wage increase, which is eventually slated to hit $15 an hour, applies to businesses with 26 or more employees. The California Fair Pay Act, A.B. 1676, strengthens already existing laws to protect against salary and pay discrimination in the workplace. The new law puts the onus on employers to explain disparities and looks to have wages based on job requirements rather than other criteria, including an individual's prior salary history. Keeping up with the rules on traveling with a child in tow can be confusing. So, here's the latest. Toddlers 2 years or younger need to keep on riding in a rear-facing car seat unless they weigh at least 40 pounds or are 40 inches tall. Meanwhile A.B. 53, originally passed in 2015 and now extended, also means those under 8 years old need to remain in the backseat in "an appropriate child passenger restraint system." A.B. 2337 will require employers to provide information on the right of workers to take time off to address issues related to domestic violence, stalking and sexual assault. New hires need to be provided with the notification in writing and other employees must be given the information on request.